Mercury Goospery Case For Samsung Galaxy Note 4. Yellow & Black. New. Mercury Goospery Case For Samsung Galaxy Note 4. Yellow & Black. New.. Condition is New. Shipped with USPS First Class Package. Diagonal pattern textured surface gives comfortable touch feel. Transparent plastic view window. Soft lining guards the screen. Accessory only, phone not included. WHATS IN THE BOX Compatible with. Diagonal pattern textured surface gives comfortable touch feel. Transparent plastic view window. Soft lining guards the screen. WHATS IN THE BOX Compatible with. Designed for LG V40 ThinQ Case (). Back slider (PC) makes cards easy to access (ID/Credit card). Dual layers: Protective hybrid case made with TPU cover hard PC back. COLOR : Silver. We willreplyyou without 24 hours and giving you a satisfactory answer. Designed for LG V40 ThinQ Case (). Molded for a perfect fit with protective shock absorbing TPU for drop protection. Soft minimalist design gives a slim style and durability without adding bulk. Smooth, silky exterior finish for a comfortable grip. 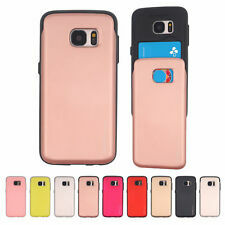 GALAXY S10 CASE compatible with Samsung Galaxy S10 (2019). Samsung Galaxy S10 Case Features RUGGED DEFENDER - Made with the durable premium quality TPU rubber. PERFECT FIT - Designed and manufactured with precise cutouts & mold for your device. Compatible with ONLY Samsung Galaxy S9 Plus (This is NOT for Galaxy S9). Shielded with a sheen coat for resistance to yellowing/discoloration and dust attraction. Sheen coating also provides anti-slip protection on surfaces such as desks and tables. Compatible Device : Xiaomi Mi 6. Xiaomi Mi 6 Case with Screen Protector Features Mi 6 Case Compatible Only with Xiaomi Mi 6. Designed and manufactactured with precise cut-outs & mold; perfect fit for your device. Perfect fit for your device Galaxy S10 Plus Folio Case Compatible with Samsung Galaxy S10 Plus. Designed and manufactured with precise cutouts & mold;. Compatible Phone Models : Samsung Galaxy S10 Plus. Samsung Note 9 Case Compatible with Samsung Galaxy Note 9 (2018). Samsung Note 9 Case Designed and manufactured with precise cut-outs & mold. perfect fit for your device. Samsung Note 9 Case Ultra slim & light weight yet flexible to resist shocks and scratches for prolonged use. Galaxy S10 Plus Case Compatible with Samsung Galaxy S10 Plus (2019). Compatible Phone Models : Samsung Galaxy S10 Plus (2019). ✅ Stylish yet functional designed leather case with credit/ID card slots. GOOSPERY, Inc. Our GOOSPERY Case Series is widely recognized for trusted quality, creative designs, and competitive prices. Compatible Device : LG V40 ThinQ. Designed for LG V40 ThinQ Case. Made with Premium TPU (Thermoplastic Polyurethane) for durability and shock absorption. Back slider (PC) makes cards easy to access (ID/credit card). Back slider (PC) makes cards easy to access (ID/Credit card). Dual Layers: Protective hybrid case made with TPU cover hard PC back. Dual layers: Protective hybrid case made with TPU cover hard PC back. Galaxy S10 Plus Case Compatible with Samsung Galaxy S10 Plus (). Back slider (PC) makes cards easy to access (ID/Credit card). Dual layers: Protective hybrid case made with TPU cover hard PC back. Designed for Apple iPhone Xs Max Case. Color:Rose Gold. No Local Pickup. BEST PRICING. Features LG V40 Case Back slider (PC) makes cards easy to access (ID/Credit card). Dual layers: Protective hybrid case made with TPU cover hard PC back.